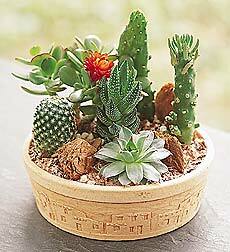 A cactus, as nice as it is in its own way, really isn’t much of a substitute for a piano. What’s an eskimo pie? It’s a chocolate dipped ice cream bar on a stick. Not as tempting as some of the pictures on your blog! Ah,like a Magnum? Do you have those? Generically, we call them choc ices. They sound very good but in my experience they’re a bit of a let down. Mind you, if I lived in Texas I might appreciate them more, it’s not often hot enough in Scotland to really enjoy ice cream. Apparently we do have Magnums, although I’ve never had one. I haven’t had an Eskimo Pie in years either, but I think the last time I had one, it wasn’t half what I remembered. That seems to happen a lot to foods from my ancient history. Tastes have really changed. Not only that, but ice cream was special for us in the 50’s, because hardly anyone had home air-conditioning, and temps ran in the high 90F range from early May through September. Kids would go into a frenzy when the ice cream truck showed up in the afternoon. It was a refrigerated truck that blasted happy music through a loudspeaker and would stop to sell ice cream bars and sandwiches when flagged down. That must have been a great job, driving an ice cream truck. Everyone would be so pleased to see you.